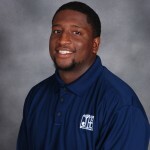 Jackson State defensive end Keontre Anderson has been named the College Sports Madness SWAC Defensive Player of the Week following his outstanding performance against Arkansas-Pine Bluff on Saturday. The Tigers picked up their first win of the season by beating UAPB 32-20 at War Memorial Stadium in Little Rock, Ark. Anderson recorded six tackles (four solo) and had 3 sacks and 3.5 tackles for loss. Jackson State returns to action Saturday, Oct. 1 when the Tigers take on Mississippi Valley State at Mississippi Veterans Memorial Stadium. Kickoff is set for 6 p.m. JSU fans are asked to wear pink for Breast Cancer Awareness. For ticket information call the JSU Athletics Ticket Office at 601-979-2420.